Chatbot marketing may seem complicated at first, but due to the emergence of chatbot platform tools, creating and distributing a chatbot on your business website is now easier and more affordable than ever. The first step to choosing the best chatbot platform is to assess your needs and technical capabilities, the best quality chatbot platforms help individuals to create a bot that fit their needs and business strategy. In the age of the customer, it’s important to engage with your customers quickly, effectively, and on their terms. Count on Bold360 to help you improve your customer experience (CX), increase conversions, and stand out from the competition — all through the power of natural conversations. Fast resolutions make happy customers. It’s no coincidence that more customers prefer online chat over phone and email for customer service. They don’t want to be slowed down. Be there when they have a question, or better yet, proactively reach out before they ask to demonstrate that you’re a customer-centric company. Choice for customers, ease for agents. Your customers shouldn’t have to track down ways to get in touch. Be where your customers want to be, even on emerging channels, without overwhelming your agents. Bold360 is your one, centralized system to handle all agent and AI-powered engagements across channels. 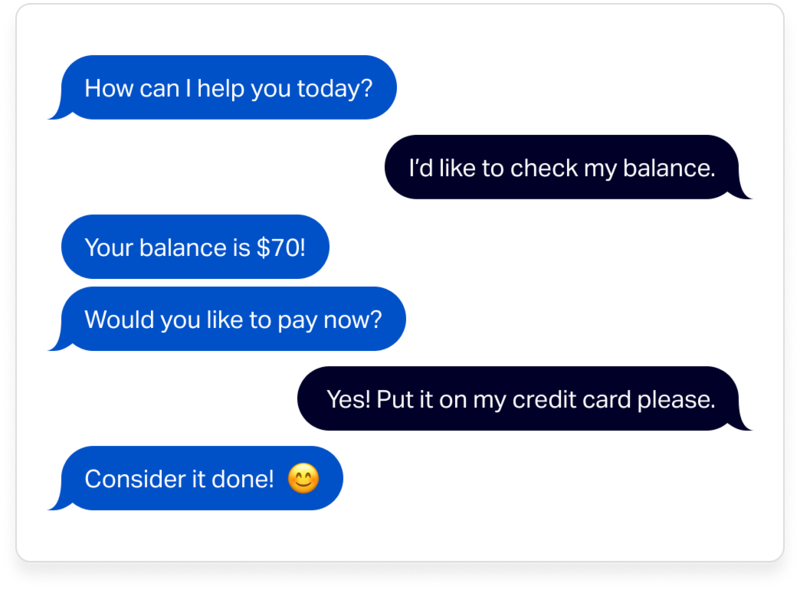 Delight customers with chatbots that speak their language. As humans, we each express ourselves differently and shouldn’t have to conform to a simplistic chatbot’s understanding. The value of Bold360’s conversational AI comes from its ability to interpret complex language, remember context over the course of an interaction, and deliver conversational replies. 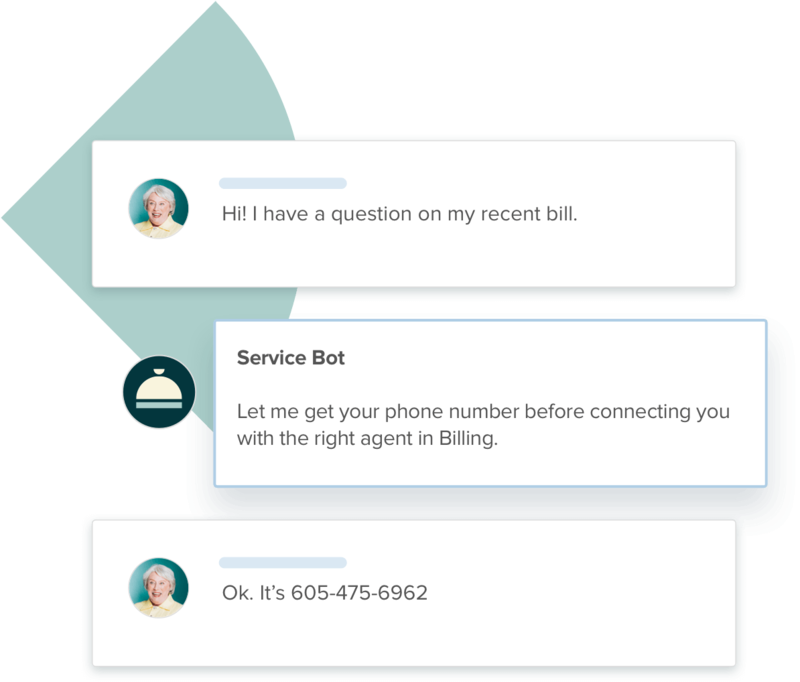 Ada lets non-technical teams solve 70% of customer inquiries with an AI-powered chatbot. Scale your support and boost your bottomline by helping your customers help themselves. Provide an instant-self service solution across your website, app, call centre and social channels. Free your agents’ time to focus on more complex inquiries that drive sales and loyalty. Reduce customer effort with proactive and personalized multilingual chat. Use real-time analytics to strengthen the customer journey and enhance your support. No need for long timelines and strong technical skills. Our platform makes it simple for anyone to automate complex answers in seconds. Zendesk’s Conversations API lets you add bots to your Zendesk Chat experience. It’s flexible and scalable, so you can adjust your chatbots to your preferences as you grow. With the API, you can easily embed bots into Chat — whether they’re built by you or a third-party bot provider. Amazon Lex is a service for building conversational interfaces into any application using voice and text. Amazon Lex provides the advanced deep learning functionalities of automatic speech recognition (ASR) for converting speech to text, and natural language understanding (NLU) to recognize the intent of the text, to enable you to build applications with highly engaging user experiences and lifelike conversational interactions. With Amazon Lex, the same deep learning technologies that power Amazon Alexa are now available to any developer, enabling you to quickly and easily build sophisticated, natural language, conversational bots (“chatbots”). Speech recognition and natural language understanding are some of the most challenging problems to solve in computer science, requiring sophisticated deep learning algorithms to be trained on massive amounts of data and infrastructure. Amazon Lex democratizes these deep learning technologies by putting the power of Amazon Alexa within reach of all developers. Harnessing these technologies, Amazon Lex enables you to define entirely new categories of products made possible through conversational interfaces. As a fully managed service, Amazon Lex scales automatically, so you don’t need to worry about managing infrastructure. With Amazon Lex, you pay only for what you use. There are no upfront commitments or minimum fees. You can use Amazon Lex to build chatbots for everyday consumer requests, such as accessing the latest news updates, game scores, or weather. After you build your Amazon Lex bot, you can deploy them on mobile devices, chat services, and IoT devices, with support for rich message formatting. You can use Amazon Lex to build enterprise chatbots that streamline common work activities and improve organizational efficiencies. For example, employees can check sales data from Salesforce, marketing performance from HubSpot, and customer service status from Zendesk, directly from their chatbots within minutes. With Amazon Lex, you can build your bots to connect to a variety of enterprise productivity tools through AWS Lambda functions. Alexa for Business utilizes information about the devices, user accounts, and skills in your organization. When someone in your organization asks Alexa a question, Alexa uses this information to respond or perform the requested action. For example, when a user says “Alexa, start the meeting” in a conference room, Alexa uses the location of the device, the calendar information for the room, and the type of video conferencing equipment available, all stored in your Alexa for Business account, to start the meeting. Alexa for Business lets your employees reserve meeting rooms and start conference calls using voice. With Alexa, there is no need to use remote controls, look up conference call information, and manually dial in to meetings. Employees can just say “Alexa, is this room free?” to find if the meeting room is available, or say, “Alexa, start my meeting” to start their meeting. Alexa lets your employees be more productive throughout their day. Alexa can manage schedules, keep track of to-do list, and set reminders. Alexa can schedule 1:1 meetings between colleagues, move and cancel meetings, and dial into conference calls, so employees stay focused on important tasks whether at home, at work, or on the go. Alexa for Business helps administrators provision and manage Alexa devices across the organization from a centralized console. With Alexa for Business, IT admins can easily provision multiple Alexa devices at the same time, and add them to the Alexa for Business account. Admins can also monitor device usage and device status from the Alexa for Business console and can setup CloudWatch alarms to be notified when devices are unplugged. Voice offers a more intuitive way to access business applications. With Alexa for Business, IT teams can build custom skills that add a voice interface to applications such as Salesforce, ServiceNow, or any of your custom apps and services. IT teams can provide rich, personalized voice experiences that redefine the way employees get work done. Custom skills can be selectively enabled in conference rooms or for employees to use on their personal devices. Alexa for Business lets you build your own private skills, which you can assign to shared devices in your Alexa for Business account. Users can use the Alexa app on their mobile phone to enable private skills for all the devices in their personal Alexa account. Watson Assistant Solutions are IBM’s family of solutions that uses AI to deliver scalable experiences. Designed for a variety of interactions, these solutions transform the way you interact with your customers and employees.